At Page House, providing safe foods and ingredients is our passion. Having safer options for our families led us to create the first heat-treated flour available to individuals and families. All of our heat-treated flour is tested by and external lab before it is sold. However, we believe in transparency and openness. You can view your flour’s test results by clicking below and searching your flour’s batch number located on the back of the package. Life can be a bit busy and hectic. Sometimes we need a second to catch our breaths and take in the small moments that mean the most. Share your moments that matter and be a part of a community that is invested in being engaged with life. See how others are sharing their moments that matter on Instagram. Join our insider’s email club and get the inside scoop on sales, mouthwatering recipes, and up-to-date information. The seed of Page House was planted 60 years ago as a simple idea, to be in the business of helping others. Following the bombing of Pearl Harbor, Lowell Sherratt Sr. quietly volunteered to help 10 families move to Page Ranch, about 30 miles west of Cedar City, Utah. The Page House, originally built in 1900, serves as a reminder of what Lowell Sherratt Sr. stood for: selflessness, loyalty, and honesty. The Page House brand was created as a way to build upon Lowell’s heart of kindness and giving by working to clean up the food supply through up-front authenticity and transparency. Our mission is to make every household safer so you can focus on the things that really matter, the smiles, giggles, and hugs that come from time with the ones you love in the kitchen and around the table. Through the growing process, wheat can come into contact with harmful bacteria like E. coli or Salmonella. While flour used in breads and other baked goods is safe once it is cooked, harmful bacteria remain active in uncooked flour. Simply handling raw flour before baking or creating crafts, like homemade playdough, have recently made people sick. Wanting a safer option we searched for a solution, which led us to create Page House Heat-Treated Flour. We use a process to eliminate 99.9% of illness-causing bacteria to give you and the ones you love the confidence to safely create lasting memories in the kitchen. Each batch of our heat-treated flour is individually tested to ensure it is clean before being packaged and finding a home in your pantry. While providing safe, high-quality products is important to who we are, our mission goes beyond just what we do; who we are, goes much deeper. 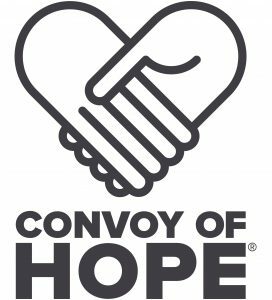 In the spirit of who Page House has come to be, we have partnered with Convoy of Hope, a faith-based organization with a long history as an early responder in times of natural disasters. Convoy of Hope has been a Four Star Charity for 14 consecutive years and has served more than 85 million people since it was founded in 1994. With the purchase of one bag of flour, you provide one meal to a child in need. Page House is more than just a food company, we are people who believe in Lowell’s values of selflessness, kindness, and charity. We are committed to going the extra mile to ensure your family has the highest quality and safest foods while seeking to help those who don’t have access to food and are faced with hunger. Our products are heat-treated in a process which eliminates 99.9% of illness-causing bacteria. This ensures that our flour is safer than any other flour available for worry-free baking and handling. We focus on helping to keep you and your family safe so that you can focus on the relationships, smiles, and fun that come from creating in the kitchen with the ones you love. Our commitment to safe food products runs deep, as does our desire to ensure people everywhere do not have to face hunger or malnutrition. We have partnered with Convoy of Hope and a portion of all products sold will go to Convoy of Hope to help end hunger.